I moved to Chattanooga halfway through last summer. Even though I saw and did a lot during the second half of the summer, there’s still a lot from the spring and early summer that I missed. Checking out local events calendars makes me giddy with excitement at how many big events are coming up this spring and summer. Here are 9 upcoming Chattanooga events you should be super excited about! I’m pumped for all of them. Seriously. My social calendar is going to be pretty full between now and the end of the summer. Chattanooga Film Festival (March 31 – April 3) // Experience four days of independent films, from genres including biopics, action and adventure and everything in between. This is the festival’s third year running. The CFF is a great event for movie and film aficionados to get a glimpse at local filmmakers and their works, and to establish film as one part of Chattanooga’s growing art and culture scene. This year’s opening film is a Hank Williams biopic called “I Saw the Light.” Read more about some of the featured films here. 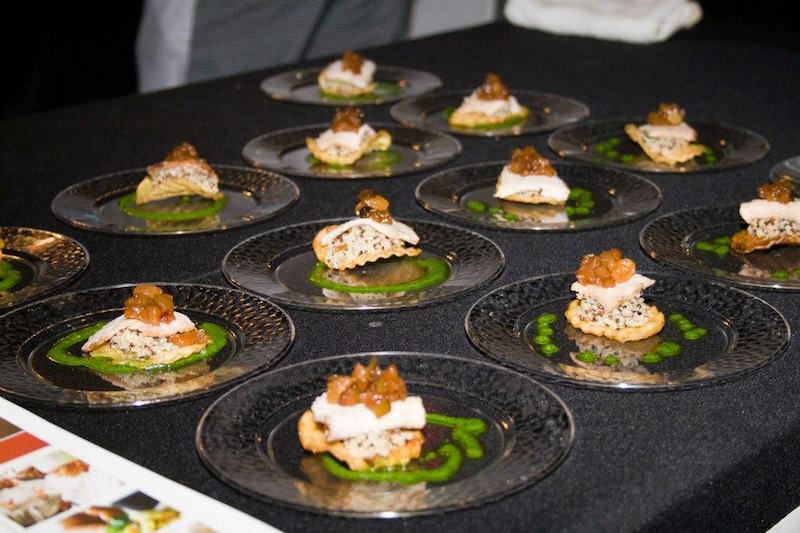 Taste 2016 (April 7) // Who doesn’t love a good food-tasting event? Guests at Taste can enjoy food and drink samples from some of the best dining in Chattanooga, while listening to local live music. But it’s not just a food-tasting event. Taste is a major benefit for the Chattanooga Kidney Foundation. Every penny raised through ticket sales stays in Chattanooga and goes toward patient services in town. Restaurants in attendance this year include: 1885 Grill, FIVE, Chelsea’s on Thorton, Milk & Honey, FEED Co. and more! 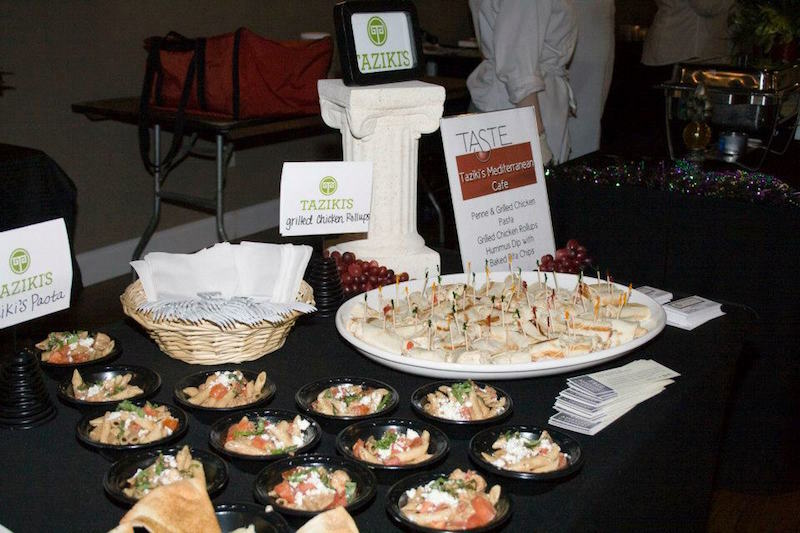 From Taste 2013, via Taste on Facebook. 4 Bridges Art Festival (April 16-17) // Each year, the Association of Visual Arts (AVA) puts on the 4 Bridges Art Festival to showcase local, regional and national artists, and to support and advance the visual arts in Chattanooga’s art scene. For two days, locals can come over to the Tennessee Pavilion and check out over 150 artists’ work, chat with artists themselves and purchase works straight from the makers. 4 Bridges has been named one of the “Prime 50” Fine Arts Fairs in the nation, so you know it’s going to be pretty awesome. Jazzanooga (April 22-24) // Did you know that April is Jazz Appreciation Month? For the sixth year, Jazzanooga will celebrate jazz music and its impact on music in general, both in Chattanooga and beyond. Performers this year include Arturo O’Farrill, Christian McBride Trio, Julian Lage and more. Jazzanooga is much more than a music festival; it’s involved in the community through its Jazzanooga Youth Music Academy and weekly radio show. But for one weekend in April, it’s all jazz everything. Chattanooga Farmers Market (April 24) // One of my favorite things to do on Sundays is check out the farmer’s market. From fresh, organic produce, to delicious baked goods, to locally-made t-shirts, soaps and other gifts, I always find something to bring home. 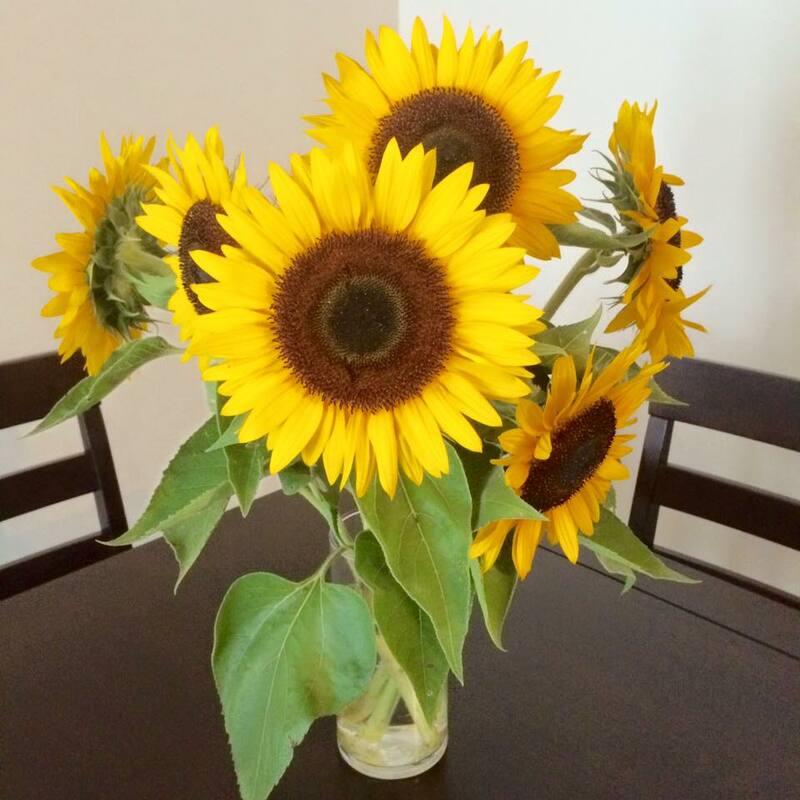 The fresh-cut flowers are always a nice touch to my apartment, too. Opening weekend is April 23-24. Check out the Chattanooga Market website to see a schedule of special events throughout the spring and summer! Chattanooga FC Season (May – July 2016) // Okay, so it’s not a singular event, but the season is almost here! Going to a CFC game was one of the first things I did when I moved to Chattanooga last summer. I may be more of a casual soccer fan, but man I cannot wait until CFC games start back up again. 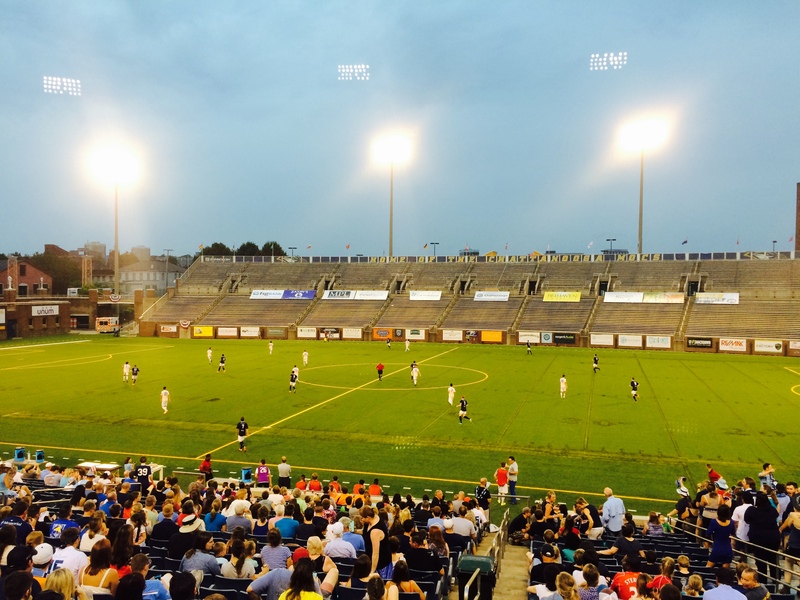 Even if you’re not a soccer enthusiast, it’s still really fun to go to CFC games, watch the guys on the field–sorry, “soccer pitch”–and listen to the creative taunts from the Chattahooligans, CFC’s own hype crew. Maybe I’ll pick up more of the actual game rules and play this year? Tennessee Whiskey Festival (May 21) // Tennessee is home to some of the nation’s best whiskey. Chattanooga celebrates that amazing whiskey and those that make it this May at the Tennessee Whiskey Festival. Guests can sample whiskey from around the state and region, enjoy food along with their spirits and try their feet at dancing (which may be difficult, depending on how many whiskey samples you’ve had). The whiskey festival benefits H*Art Gallery, a non-profit organization that provides outreach and support to other local non-profit organizations that offer art classes and art therapy to their clients. Ready to taste over whiskey from over 20 distilleries? I am. Uncorked (May 21) // I love wine and I love music, so the Chattanooga Symphony & Opera’s Uncorked event was basically made for me. Uncorked is an evening of music, food, wine and a good time, all benefiting the CSO. I’m particularly excited for this one. Riverbend Music Festival (June 10-18) // Who knew Chattanooga had a whole week-long music festival with some pretty sweet headlining acts? Riverbend celebrates 35 years this June with a crazy awesome festival in store. This year’s acts include Thomas Rhett, Brett Eldredge, Heart, Hawk Nelson, .38 Special, REO Speedwagon, Salt & Pepa and more. And it all happens down on the Riverfront. It’s the perfect summertime event. And of course that’s not all of the awesome events Chattanooga has to offer. I didn’t get even get to the rest of June, July and August. Hello Southern Brewers Festival! There is so much to be excited about in Chattanooga this spring and summer. I know I’ll be attending as many of these events as I can. Which ones will you be at? Want to see more of my adventures in Chattanooga and be a part of them? Follow me on Snapchat: @thekrobertson! For more information on awesome upcoming events, check out ChattanoogaFun.com. Chattanooga has a fabulous food scene (as told by my Chattanooga Foodie Bucket List). There are so many amazing restaurants and food spots in town worth checking out. How do you fit in so many great spots into your explorations? The answer: take a food tour! Jane Biscarini started Eat Sip Walk Food Tours last year to introduce both locals and visitors to Chattanooga’s bustling food scene. After growing up in San Diego, Ca., and living in Italy for 14 years, Jane developed a passion for good food and a desire to share that passion with others. Now she operates Eat Sip Walk tours to share the Southern comfort food offerings in town with locals and tourists. Last weekend my friend and I had the awesome opportunity to take one of Jane’s tours around the Southside of Chattanooga. Of the five stops we made, I’d been to two of them before and got to experience three new places. Here are the awesome places we stopped at on our food tour and the delicious food we enjoyed at each stop! We started at Feed Co. Table & Tavern for a salad. This wasn’t just any salad, though: it was a spinach salad with flash-fried maple-bacon Brussels sprouts, Georgia pecans, goat cheese and a pepper-jelly vinaigrette. As a protein, we had a salmon patty, much like the one Feed Co. serves on its salmon burger. That salmon patty might have converted me into a fish eater. Next was Terminal Brewhouse, a former hotel turned restaurant (and other things in between). It’s situated right across from the famed Chattanooga Choo Choo. Here’s some irony for y’all: the Choo Choo was once a train terminal and is now a hotel, and Terminal Brewhouse was once a hotel and now it’s a restaurant called “Terminal.” Get it? 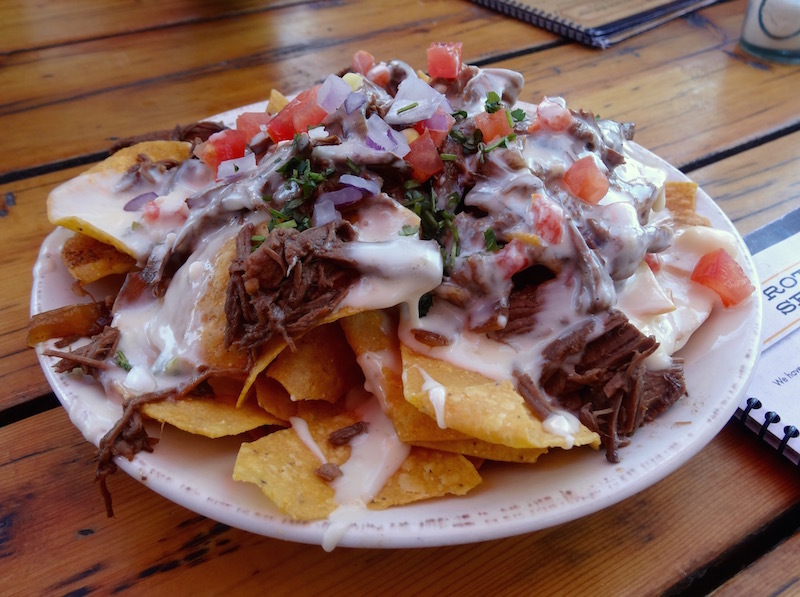 Anyway, we got to sample their Pot Roast Nachos, and oh my goodness they were delicious. Our group blew through those pretty fast. Note to self: go back to Terminal just for these nachos. Our third stop was DeBarge Urban Winery, which I was super happy to go back. We tasted three wines: Chardanooga, Cloudland White and Labyrinth red blend. I’d tasted the first two at my last visit (and of course didn’t complain about getting to try them again), but that was my first time tasting the Labyrinth. Normally I prefer white over red, but the Labyrinth was smooth and delicious. This time I brought home a bottle of the Cloudland white blend. So good. Our fourth stop on the food tour was at Flying Squirrel, one of my favorite spots in town. I’ve been there several times for food and drinks, but had only had the same couple of dishes over and over. 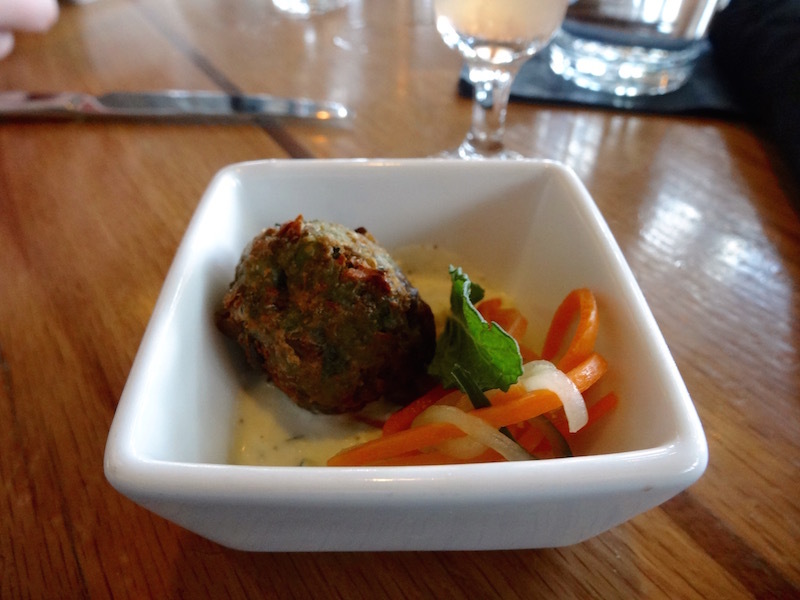 This time I got to sample their house-made felafel, which was also the first time I’d ever tried felafel. 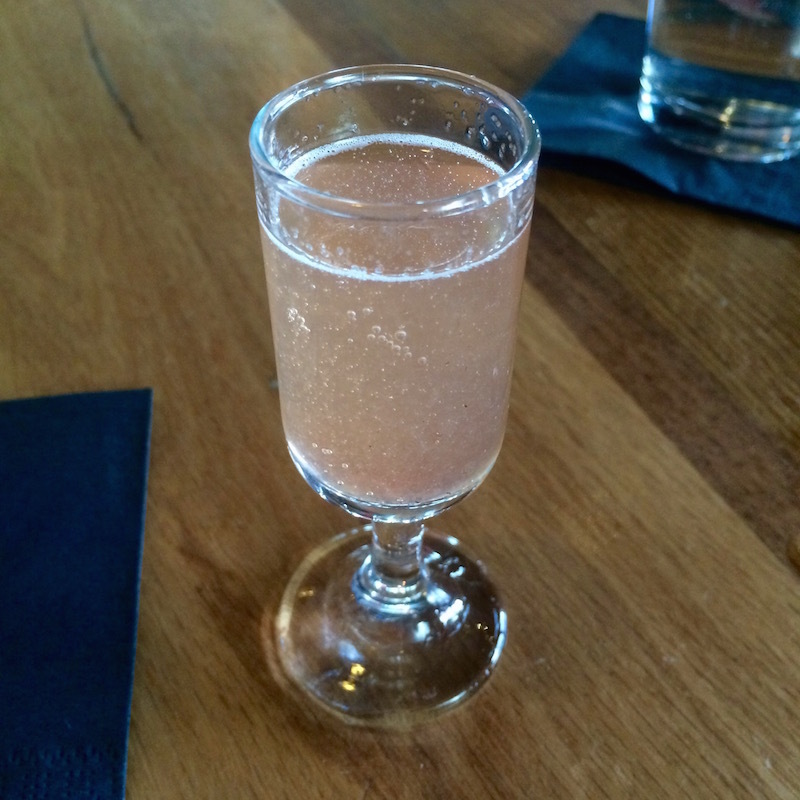 Our drink sample was a strawberry thyme shrub sparkling wine. It sounds like an odd flavor combination, but I loved it! Definitely a sinus-opener if you sip it too fast. Not that I speak from experience or anything. Our food tour concluded at La Conga, a Latin American restaurant, for our sweet treat of the day. I’m not super familiar with Latin American food, and would’ve had no idea that you can make an empanada into dessert. 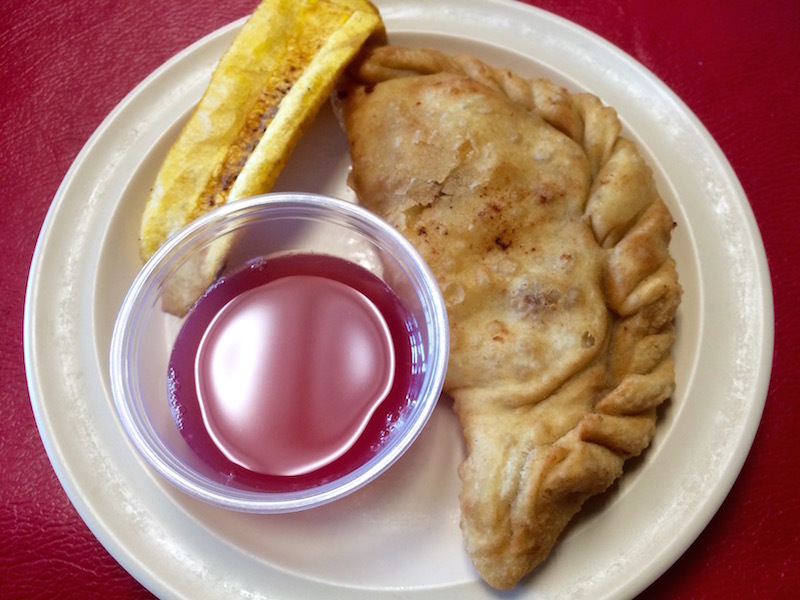 La Conga’s guava and cheese empanada proved me wrong, and oh my goodness it was delicious! Jane’s food tours aren’t limited to these five awesome spots. Her other tours visit Slick’s Burgers, Niedlov’s Bread Works, Slick’s Burgers, Blue Orleans and more. Even more Chattanooga restaurants I haven’t been to yet! And yes, I was quite full after the tour. Happy stomach, happy Kate. For more information about Eat Sip Walk food tours, check out Jane’s website, and follow along on Facebook and Instagram. Want to follow along more of my adventures around Chattanooga and beyond? Add me on Snapchat – thekrobertson! I’ve recently gotten really into the music scene in town. My toes are still tapping from the Big Band Fever show a couple weeks ago. Going to shows like that make me think of the 12 years I played violin and all the different genres of music I played with different ensembles. I love a chance to embrace nostalgia, and last weekend, I did just that at the Chattanooga Symphony & Opera. 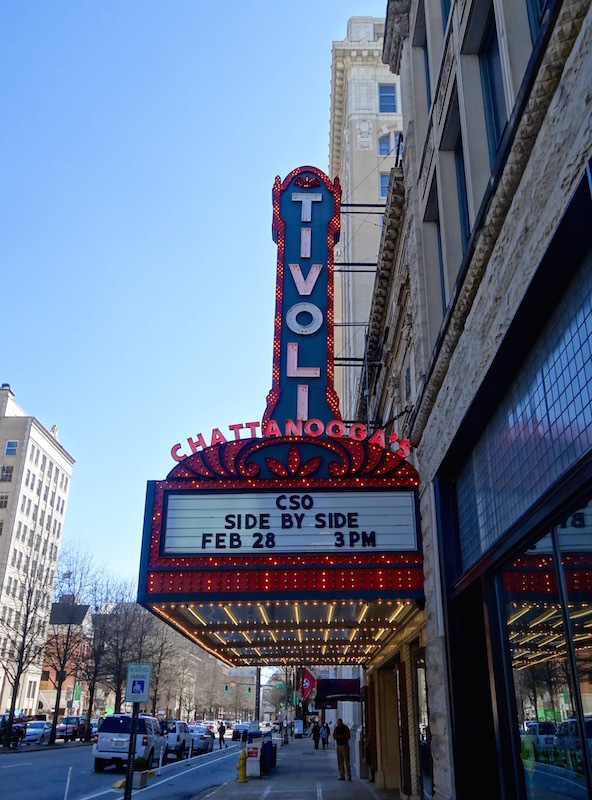 Last Sunday, I attended the CSO’s annual “Side By Side” concert with the CSO Youth Orchestra (CSOYO) and Youth Philharmonic Orchestra, at the beautiful Tivoli Theater downtown. It didn’t take long for my memories of playing in orchestra and youth symphonies to rush back, especially since they played some familiar pieces that I’d played before, too. Even as I watched the players tuning, I thought back to those same moments before my last symphony concert my sophomore year of college. The CSO Youth Orchestra began in 1949 as a place for young musicians to play in a full orchestra. It has grown dramatically since then, and now includes multiple youth ensembles, including the Philharmonic and Symphony. I really love how the youth orchestras are connected to the main CSO and that they have the opportunity to perform together. So cool! To start the concert, the Youth Philharmonic and Symphony orchestras each performed their own pieces: Robert Sheldon’s “Resurgences,” and “Espana” by Chabrier, respectively. Both pieces were full of energy and got everyone in the mood for the rest of the concert. Even the conductors–Sandy Morris and Gary Wilkes–were feeling it. 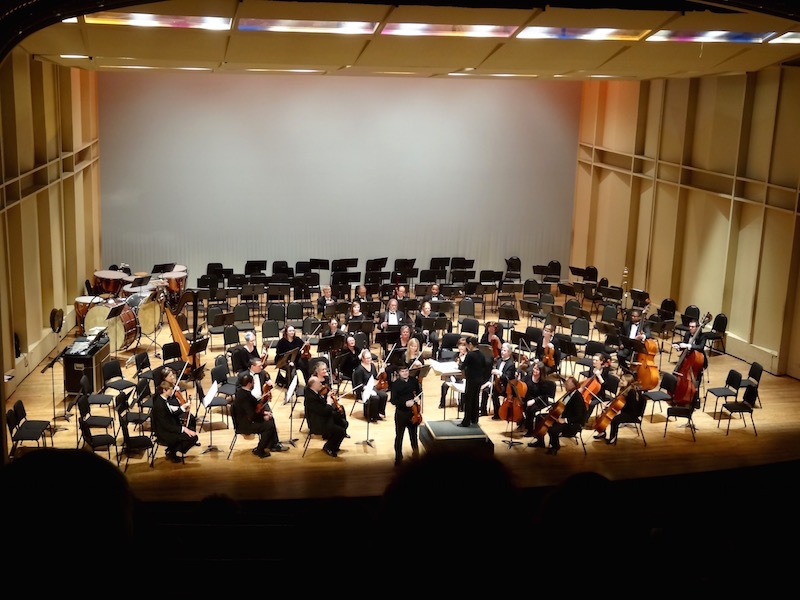 Each year, the CSOYO holds a solo concerto competition, in which Symphony students can audition to play a concerto accompanied by members of the CSO. This year’s concerto competition winners performed stunning concertos on flute and tuba: Mercadante’s “Flute Concerto No. 2 in e minor” and Edward Gregson’s “Tuba Concerto.” I had never heard a tuba concerto in my entire life and I was blown away by the student’s performance. Think of the lung power it takes to get through a tuba concerto! The flute concerto was absolutely breathtaking, quite literally; I got a little out of breath just watching and listening. I grabbed a few pictures between sets! The last solo performance of the afternoon had me feeling very emotional and nostalgic. Soloist and associate concertmaster Josh Holritz performed Beethoven’s “Romance No. 2 in F,” which was one of my absolute favorite solos I played back in the day. It was the closest I ever got to a perfect solo, and every time I hear it, I think of playing it and wish that maybe one day I can play it again. Before he played, CSO conductor Kayoko Dan said that Josh had played the “Romance” as his concerto competition piece when he was in the CSOYO himself. Full circle, right? I had never heard or seen the “Romance” played live before, and I absolutely got a little misty-eyed. But the show didn’t end there. 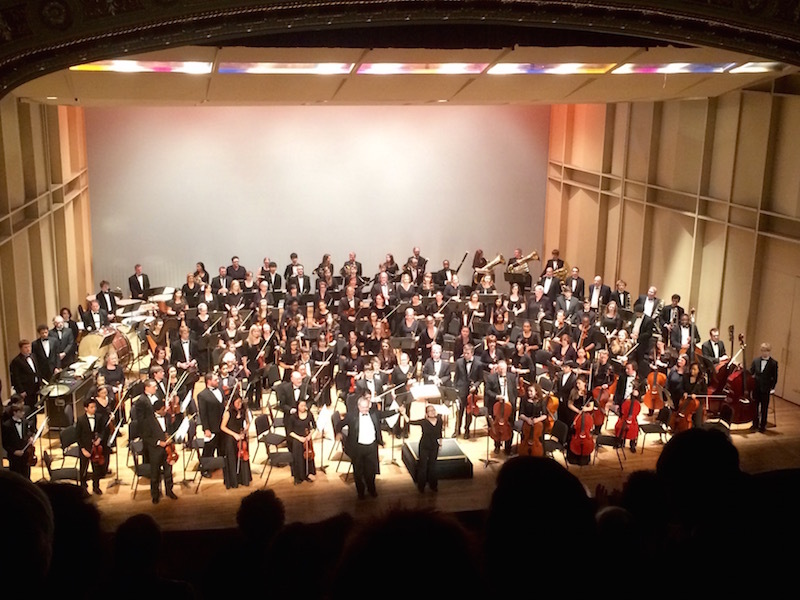 The real side-by-side fun was saved for the end, when the CSOYO Symphony and CSO sat on stage and performed the two final pieces together. Their joint performance of Rossini’s famed “William Tell Overture” brought almost everyone in the audience to their feet and it wasn’t even the final song. Even though “William Tell” was one of the more challenging pieces I played as a violin student, I loved hearing and seeing it performed by other musicians, especially with double the sound. It was nice listening to it instead of having to play it! Thanks for an amazing show, CSO & CSOYO! The Side By Side concluded with an awesome performance of Liszt’s “Les Preludes.” By the final note, every single person in the audience was on his or her feet for a standing ovation. And the CSO and CSOYO deserved it. It made me want to go home and get my violin out again. For more information on the CSO and upcoming concerts and events, check out their website. Follow them on Facebook and Twitter for more updates, too. Remember several weeks ago when I shared my Chattanooga Bucket List? Well, I couldn’t fit every little thing on one list, so I made another. From the time I moved here last July, it didn’t take me long to figure out that Chattanooga has an incredible food scene. And it’s not just a nice bunch of burger joints and “nicer” restaurants. We’ve got a burger lounge and a New Orleans style bistro and some delicious delis. Not to mention some pretty sweet spots to satisfy your sweet tooth. I happen to like those places a lot. A city’s food scene says a lot about its culture. The variety of cuisines we have in Chattanooga continues to amaze me. I never would’ve thought I’d find an authentic German restaurant just across the river from downtown. For the record, that’s one of my favorite places to eat. We’ve also got authentic Mexican and Thai, and a Brazilian steakhouse. For Chattanooga to be a “smaller” city, we sure have the food offerings the likes of Atlanta or Nashville. So here it is: the Chattanooga Bucket List, Foodie Edition. Of course there are more than 40 wonderful food spots in town. The way I see it, it just gives me more excuses to go out, explore and eat good food. 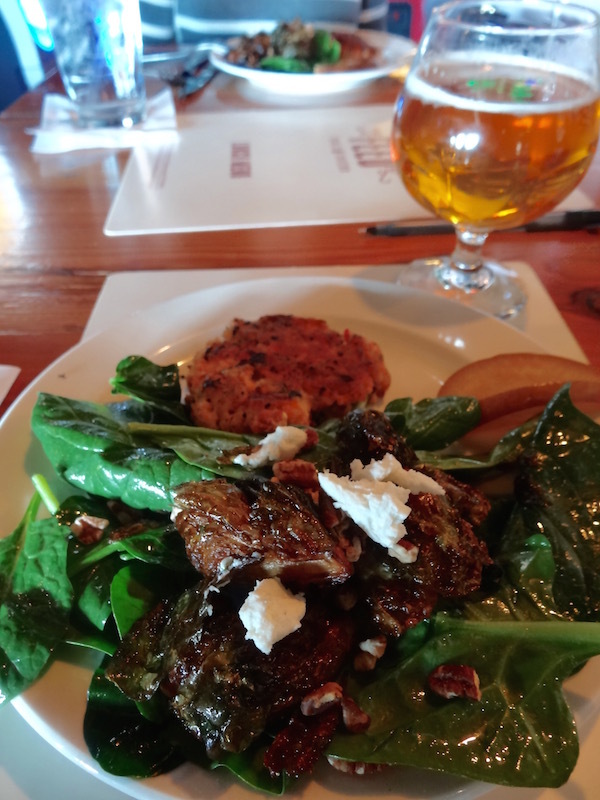 Is Chattanooga’s food scene turning me into a foodie? Good chance. I don’t hate it. I haven’t been to all 40 places on this list, and I’m sure there are many more that I haven’t found yet. Ideally I would love to try one new restaurant every week or so. I can’t wait to work my way through the list and beyond and to continue discovering all of the great food Chattanooga has to offer. I still have so much more to find. 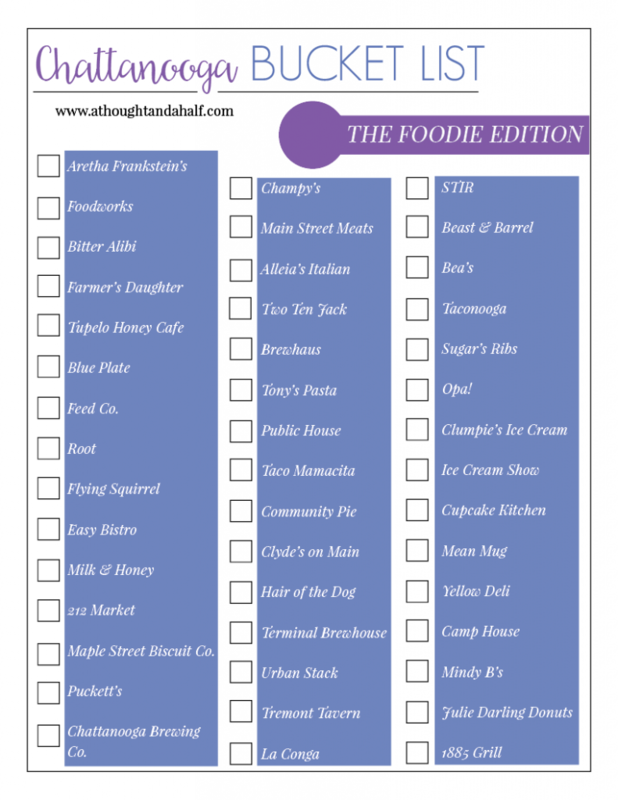 Join the fun – print out a copy of the list (it’s a .pdf) and check off all the spots you visit. Feel free to share your foodie favorites with me, too. Leave me a comment below, tweet at me or tag me on Instagram! Stay tuned for one more edition of the Chattanooga Bucket List! Have you visited any of the popular food spots in your city? What’s your favorite? Valentine’s Day isn’t just for celebrating romance. It’s also a great chance to celebrate friendships and gal pals in your life, or just to treat yourself. Galentine’s Day is just as fun, I think. This year for Galentine’s Day, a group of ladies from my work spent the afternoon sampling wine from the DeBarge Urban Winery on the Southside of Chattanooga. I’ll be completely honest, I didn’t even know it was there until the plans were made. But I love visiting wineries, and I was beginning to think there weren’t that many around here. Fortunately that’s not the case. 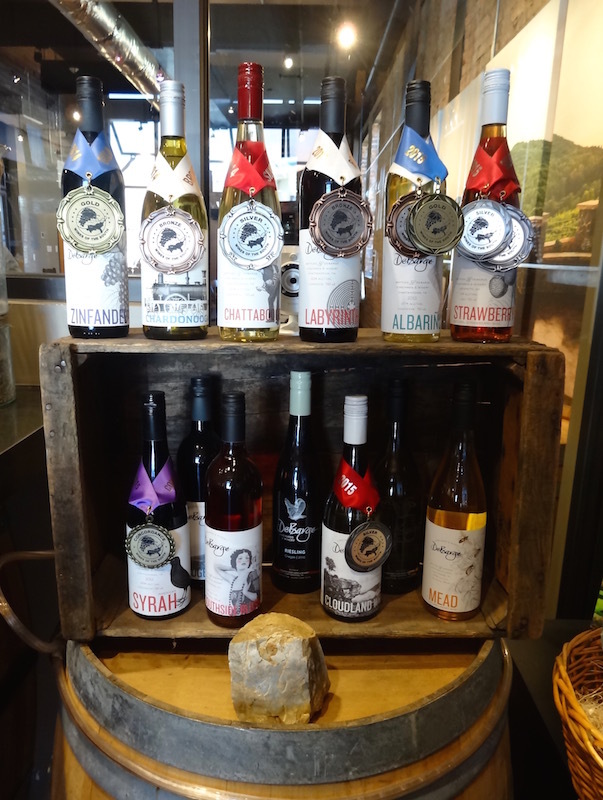 Living in North Carolina had me spoiled, where I had five wineries within 10 miles. Wine-making started as a hobby for owner Ray DeBarge. In fact, he made his first bottle of wine as a teenager. It eventually grew into a passion that has since evolved into a business that makes many Chattanoogans and visitors happy. The Southside winery has been in operation for four years. They took their time perfecting their wines and starting to distribute; now they’re up and running and ready to make their mark in Chattanooga. It’s not hard to get “in the mood” in Chattanooga for Valentine’s weekend. Just come to the Tivoli Theater and you’ll start to feel it. And don’t forget your dancing shoes. In retrospect, I wish I’d had mine. 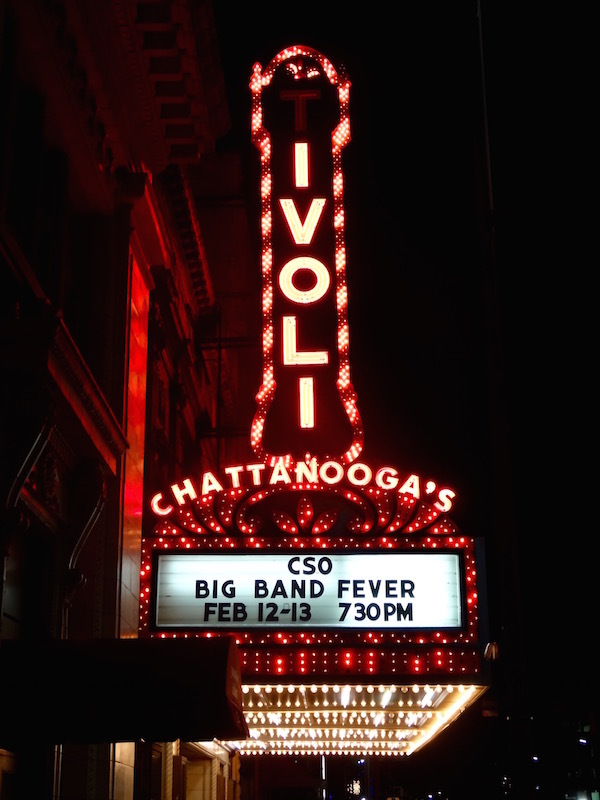 One of Chattanooga’s favorite Valentine’s weekend events is the Big Band Fever show at the Tivoli Theater. The Chattanooga Symphony & Opera’s Big Band puts on a fun show full of swing dancing, big band tunes and lots of energy and hand-clapping. In fact, it’s such a popular event in town that they put on two shows: one on Friday and one on Saturday. If you aren’t familiar with big band music, a traditional “big band” ensemble has at least 10 musicians with trumpets, trombones, saxophones, drums, double bass and piano. Big band music itself is very upbeat, jazzy and catchy; it became popular in the 1930s and 1940s with the Swing Era. If you’ve heard Miles Davis and Louis Armstrong’s music, then you’ve heard big band.